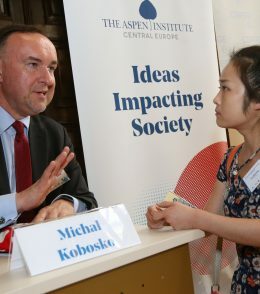 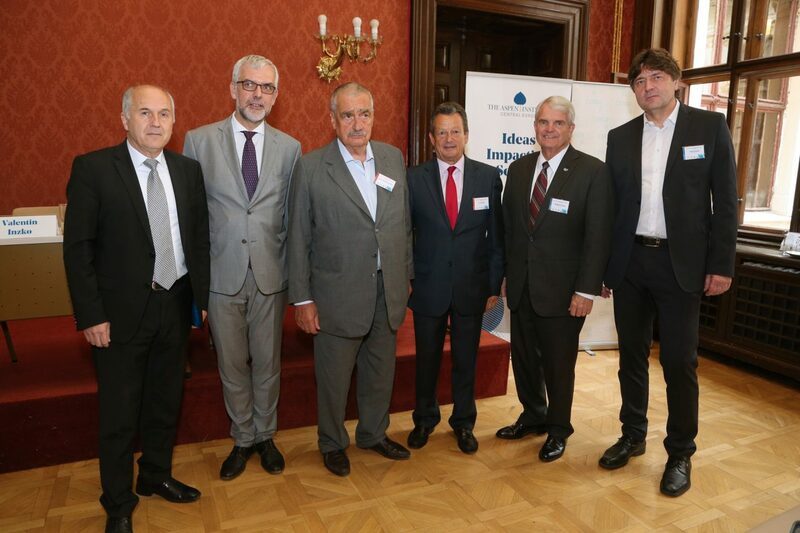 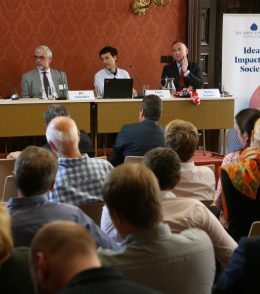 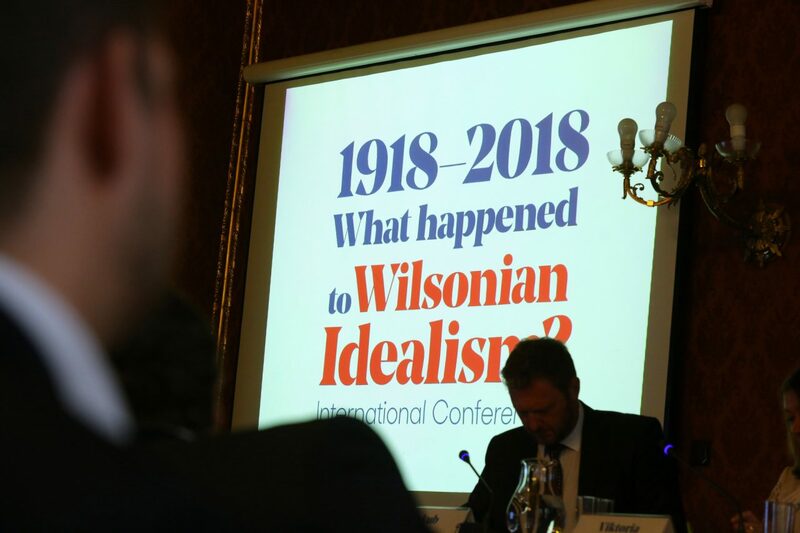 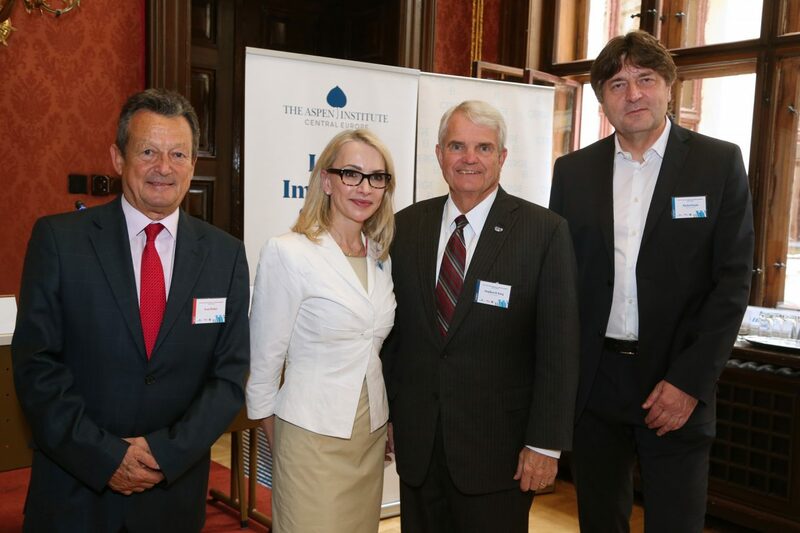 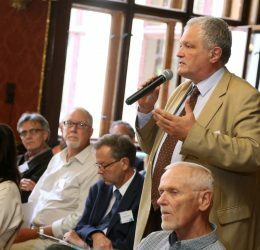 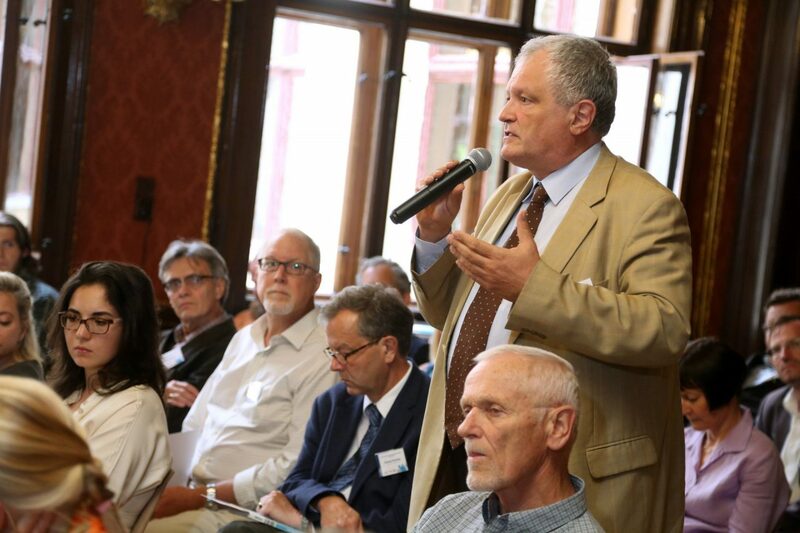 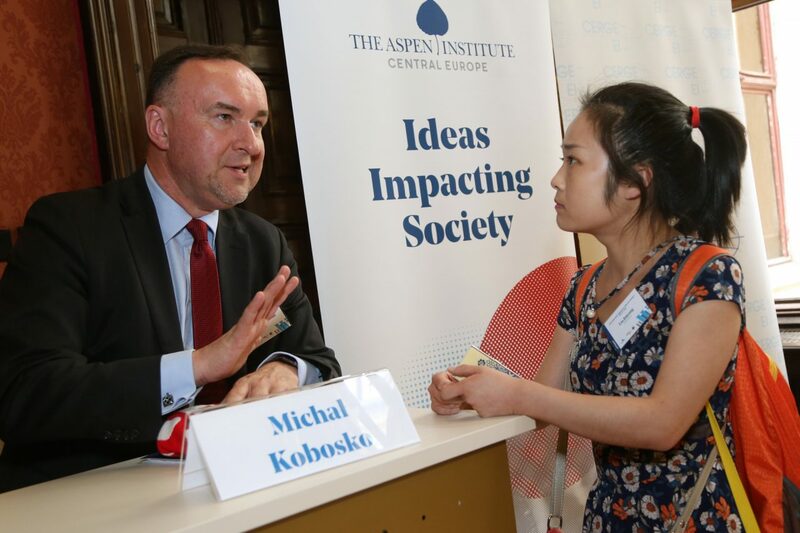 The Aspen Institute Central Europe, in cooperation with CERGE-EI and with the support of the U.S. Embassy, organized an international conference entitled 1918 – 2018 What Happened to Wilsonian Idealism? 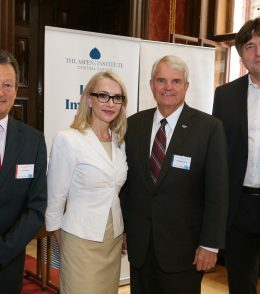 in Prague on June 19. 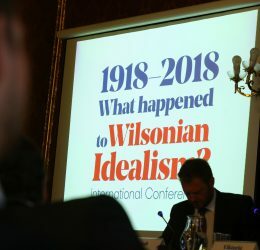 It was held on the occasion of the 100th anniversary of Woodrow Wilson’s Fourteen Points speech, which was the starting point for a debate about the future relevance of this political concept, focusing in particular on self-determination and free trade. 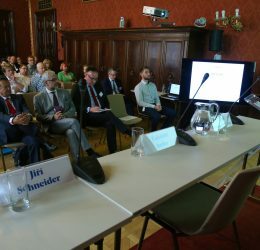 The conference began with a welcome speech by Susan E. Walton, a member of the CERGE-EI Foundation board of directors. 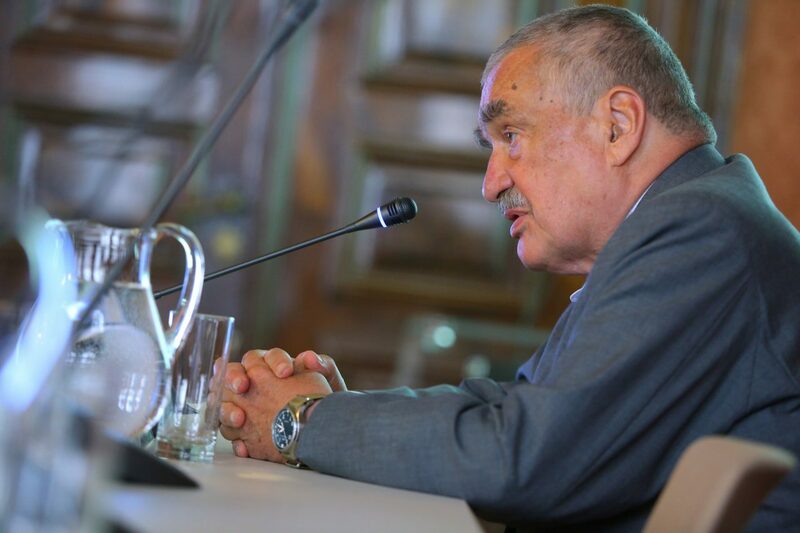 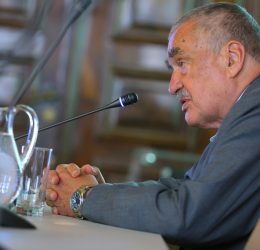 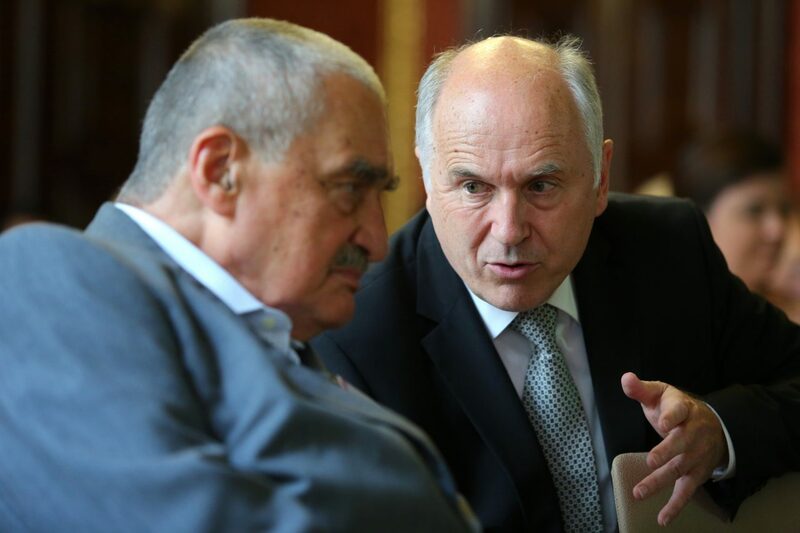 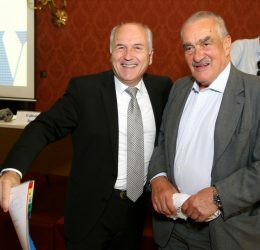 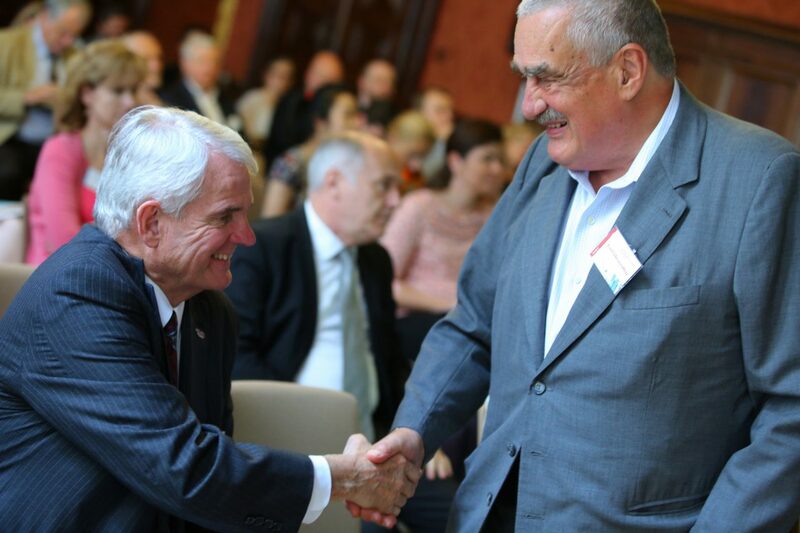 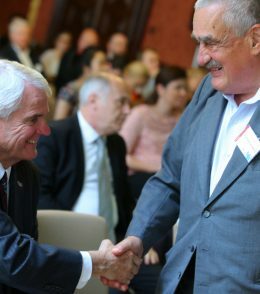 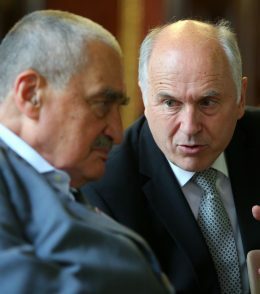 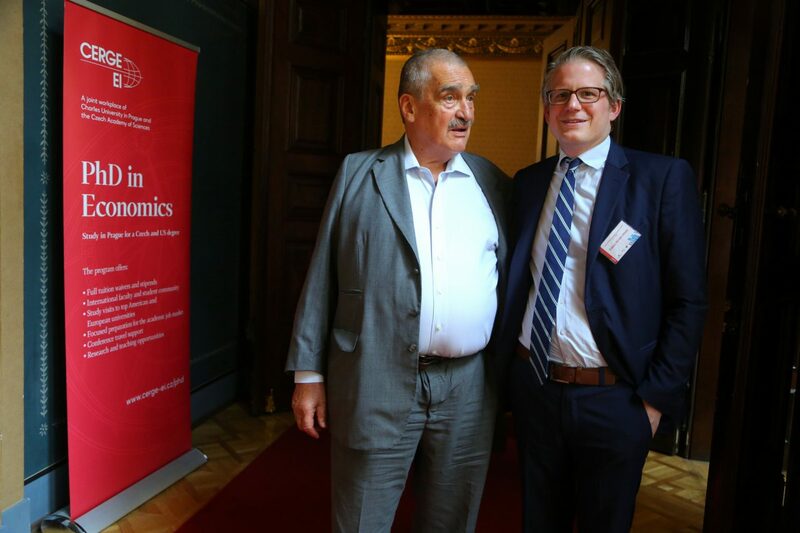 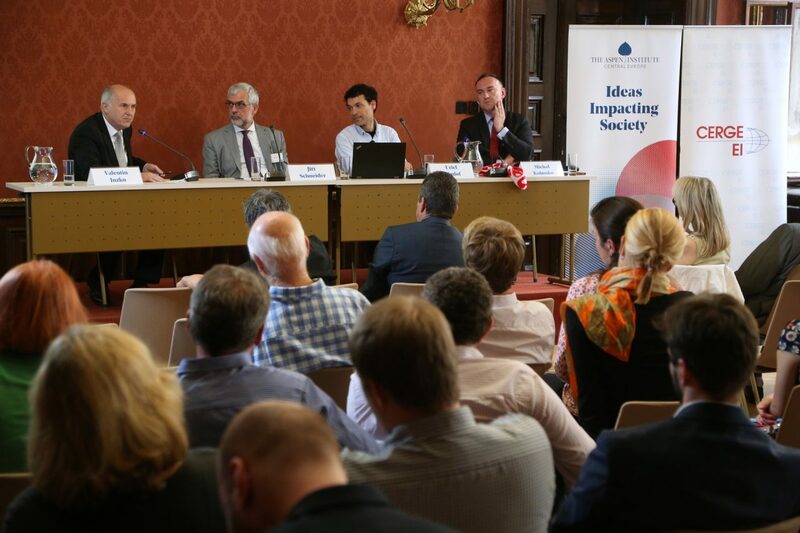 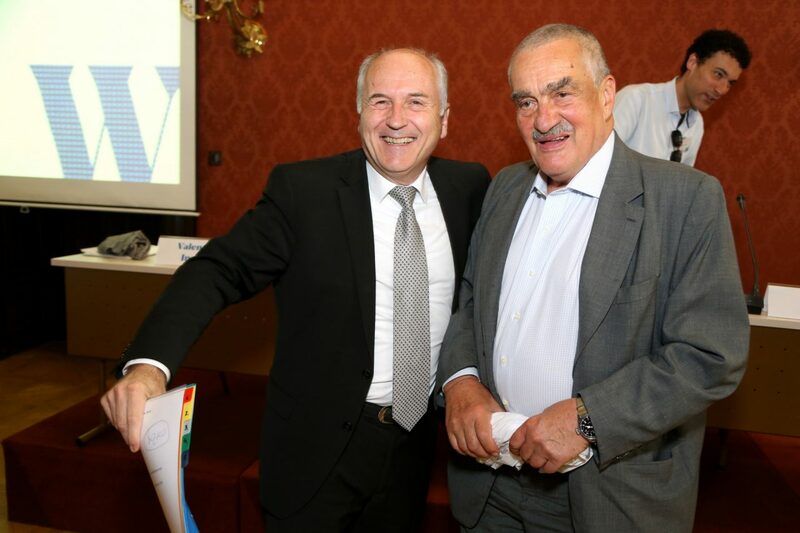 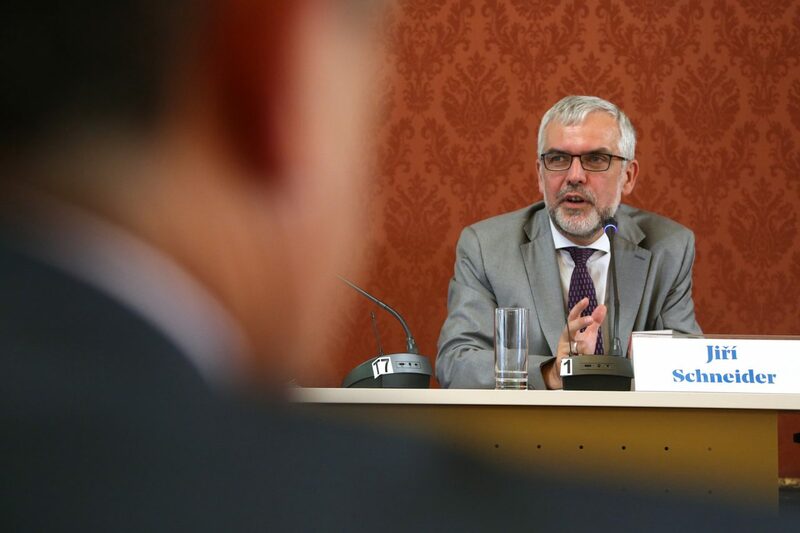 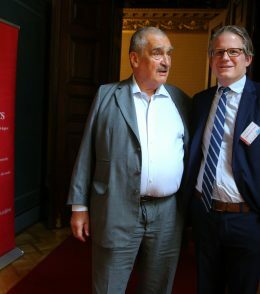 Karel Schwarzenberg, former Czech Minister of Foreign Affairs, made opening remarks questioning the possibility to succeed when bringing values to different regions or societies, referring to the examples of Central Europe in 1918 and the Middle East in 2003. 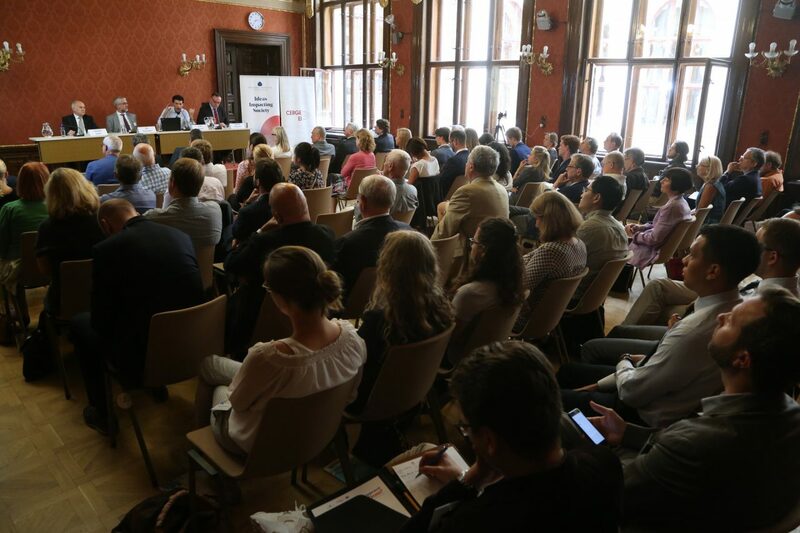 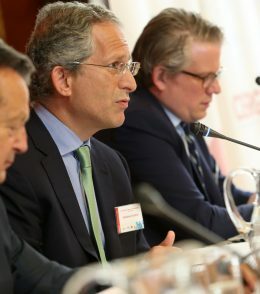 The first panel, moderated by Jiří Schneider, Director of the Aspen Institute Central Europe, focused on self-determination and its role in today’s Europe. 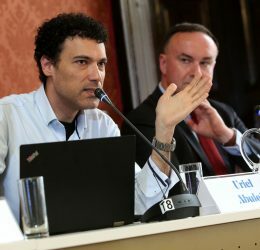 Uriel Abulof of Princeton University and Tel Aviv University opened the panel with an inspiring political and philosophical exposé, defining self-determination as a political, but also human hope. 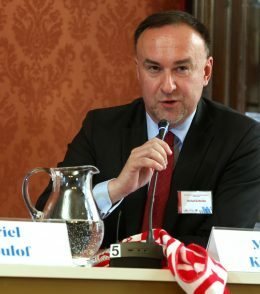 According to Abulof, all three main ideologies of the 20th century have spoken in the name of self-determination, because it is a principle of political hope. 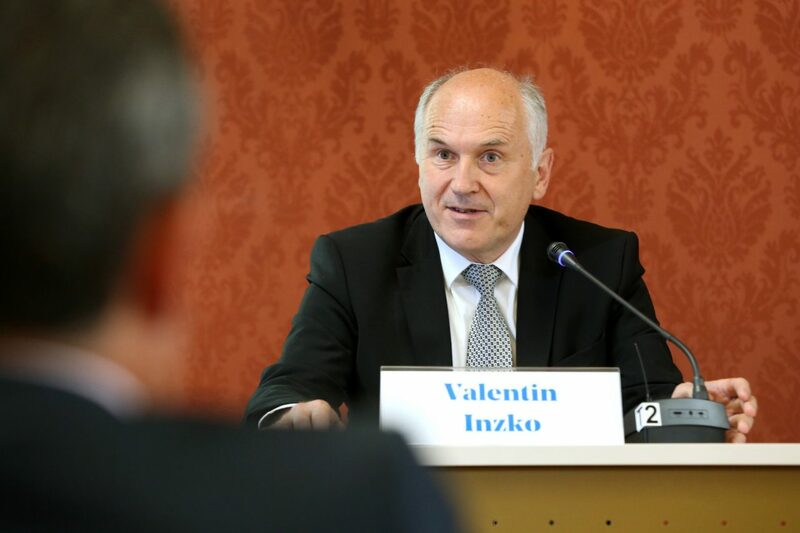 He also stressed the destabilizing power it can have, and the risk of a domino effect or matryoshka doll effect. 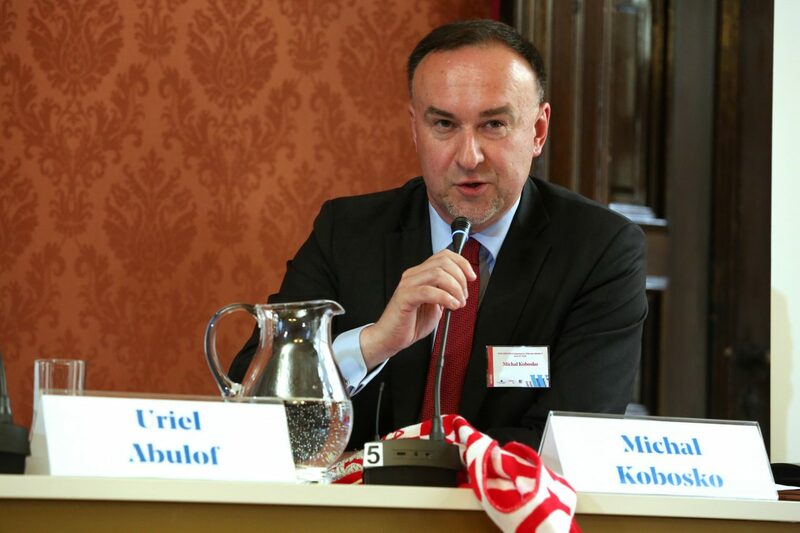 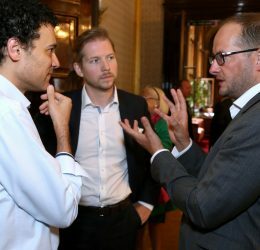 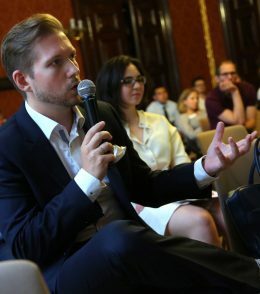 Michał Kobosko, Atlantic Council Poland, stated that there would not be a modern Poland without Wilson’s speech and discussed the milestones of Polish history. 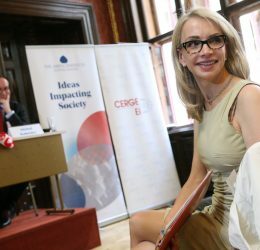 He also warned that modern-day populists are using the concept of self-determination to justify evil. 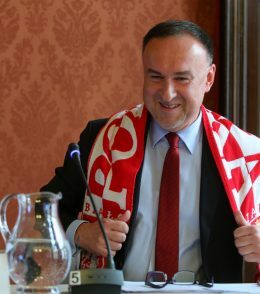 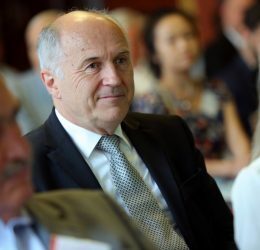 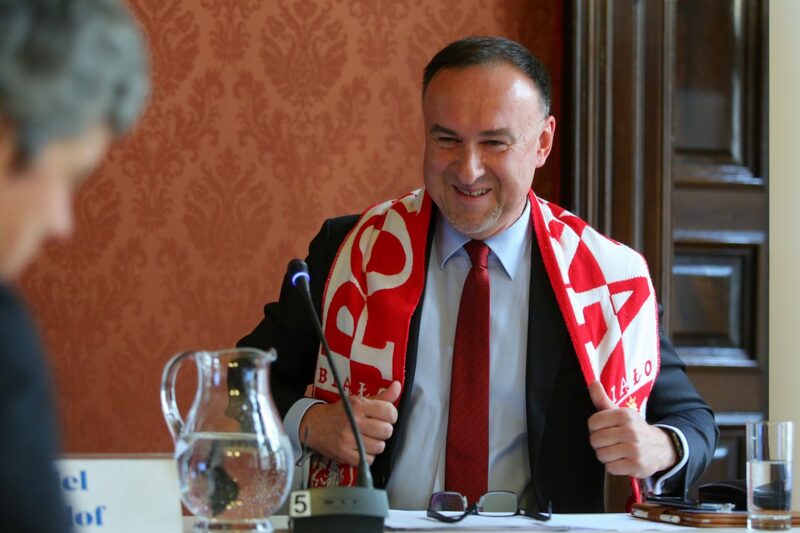 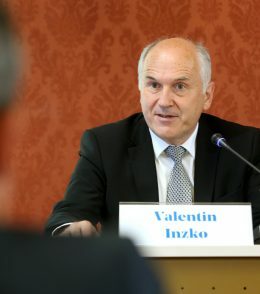 Valentin Inzko, High Representative for Bosnia and Herzegovina, explained the Balkan perspective on self-determination as a principle of sovereignty and territorial integrity, which can lead to dangerous conflicts. 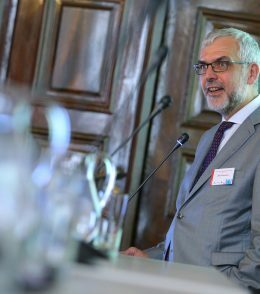 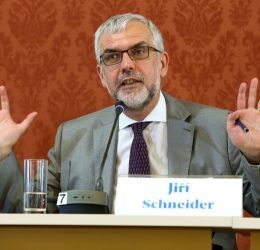 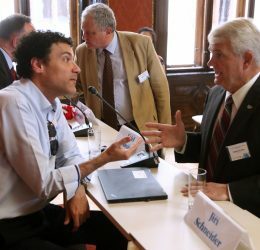 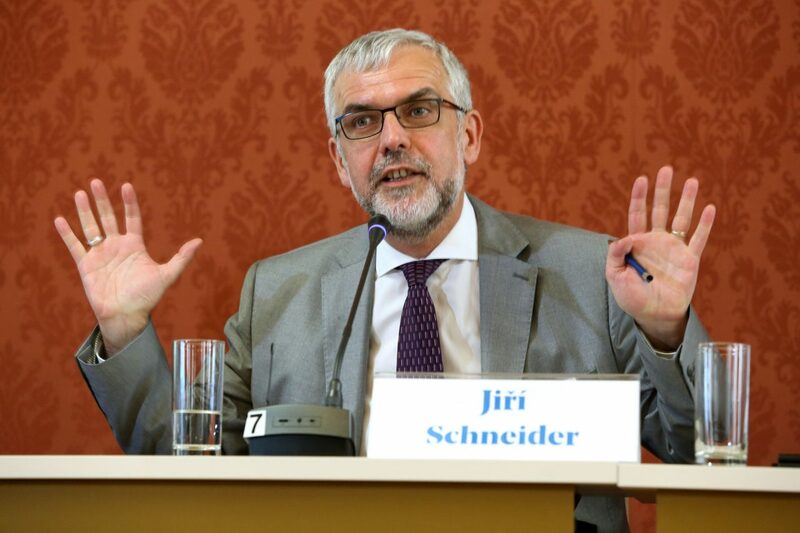 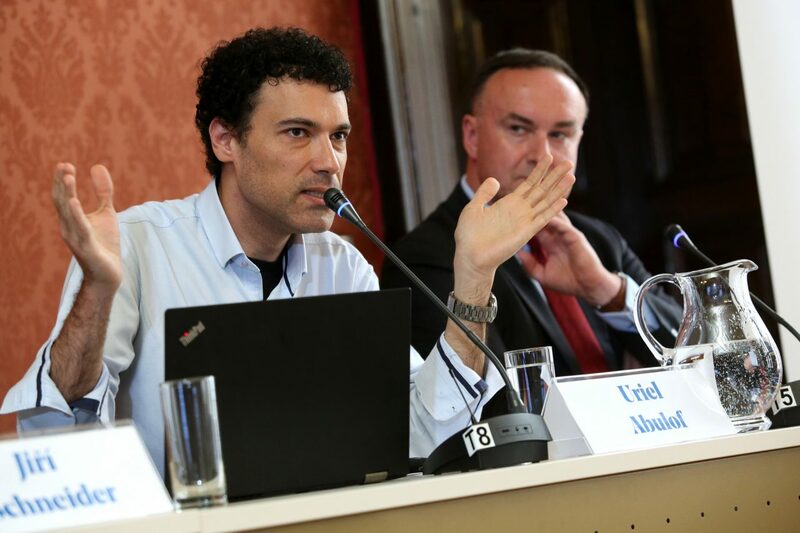 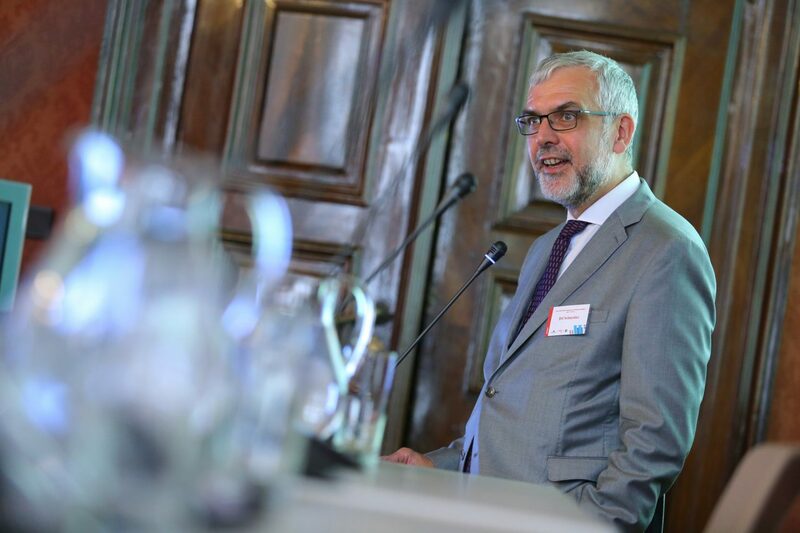 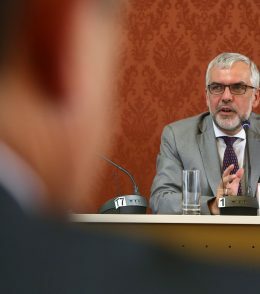 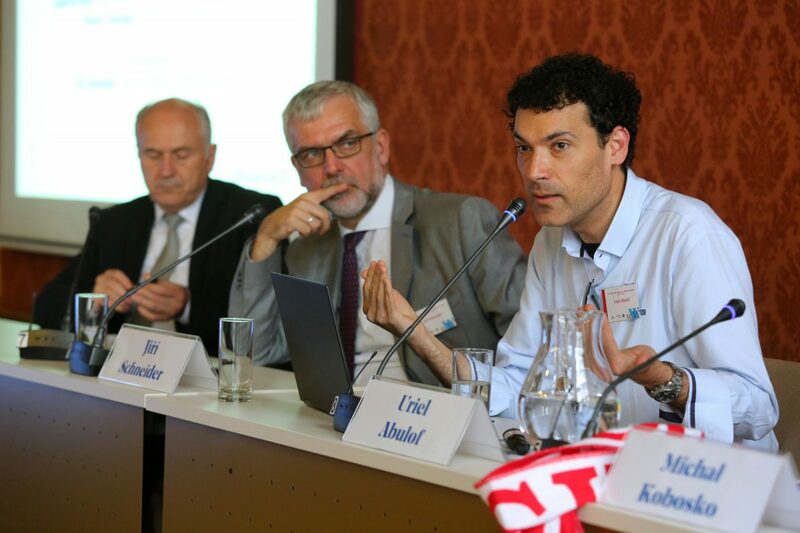 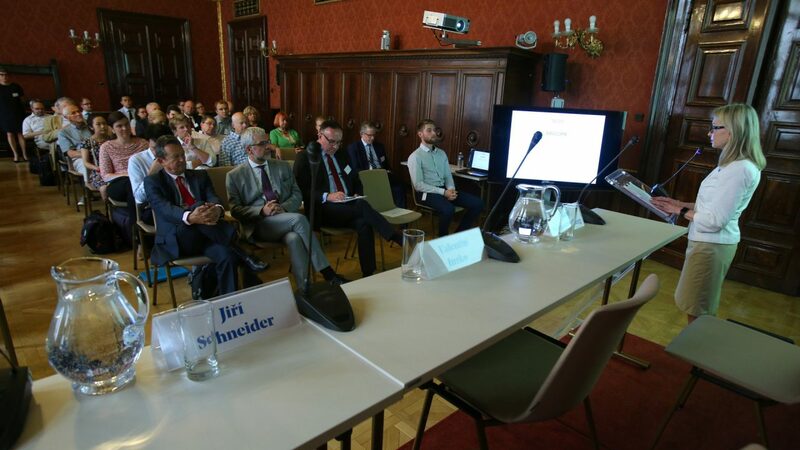 Jiří Schneider noted that while self-determination used to be directed against empires, soon we will have to self-determine ourselves vis-à-vis technology, the digital revolution and its impacts on society. 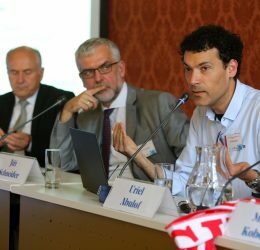 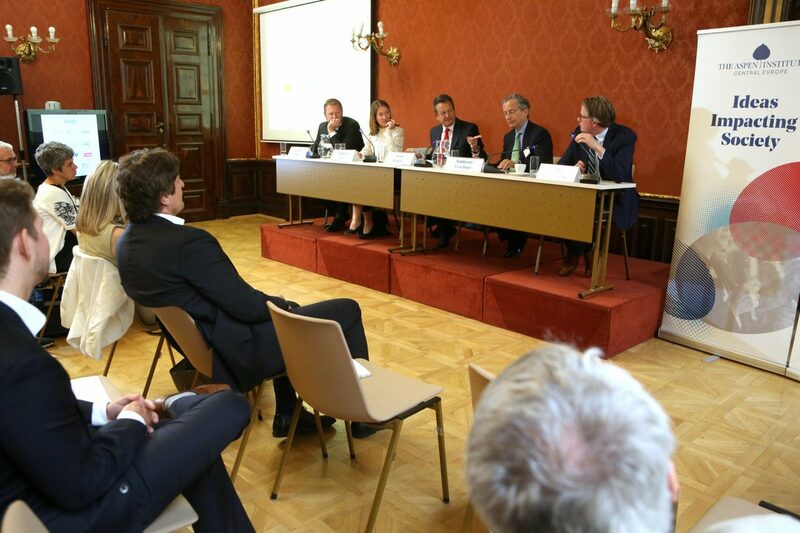 The second panel, chaired by Ivan Hodáč, focused on free trade and its future. 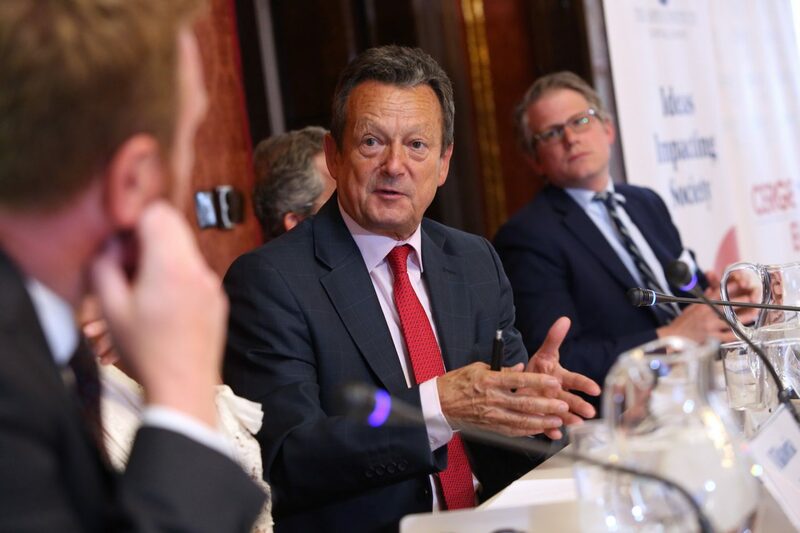 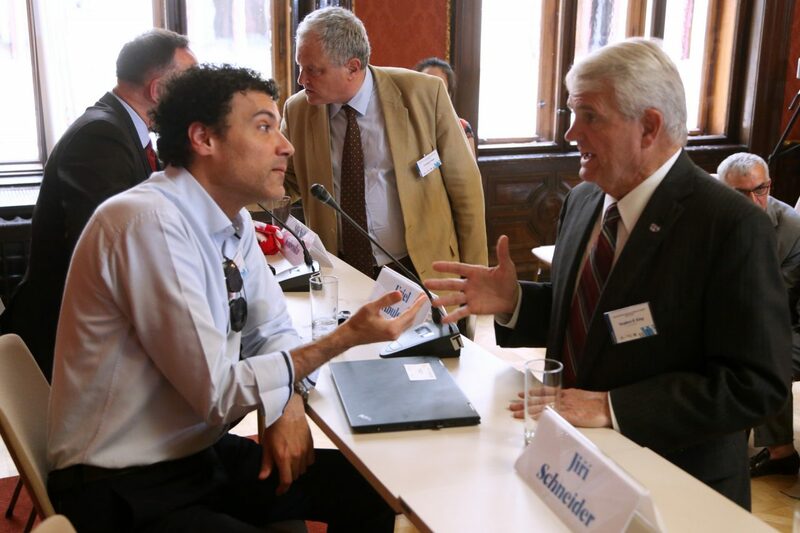 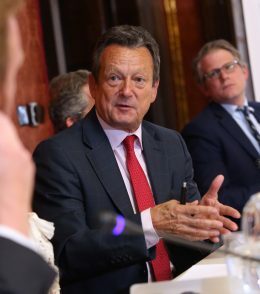 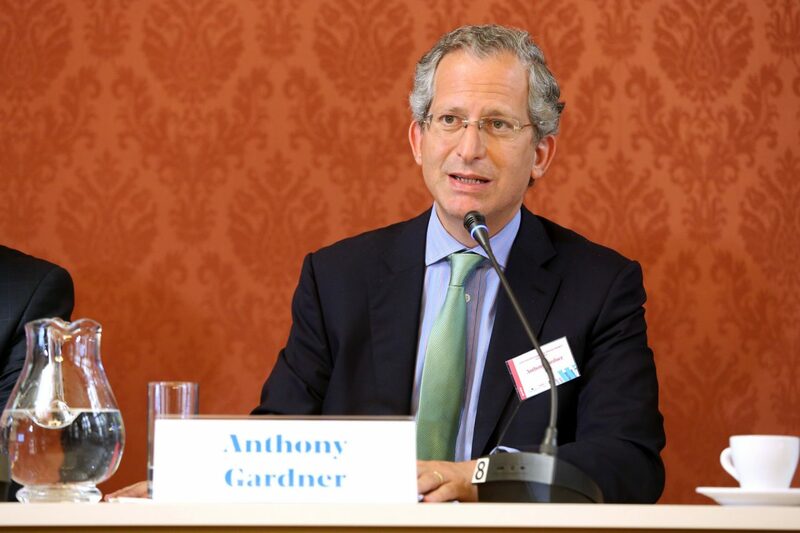 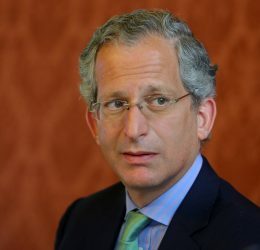 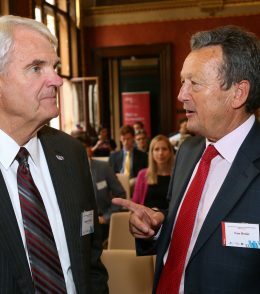 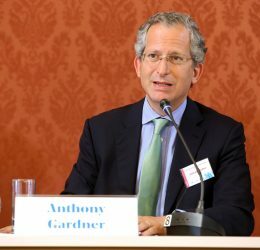 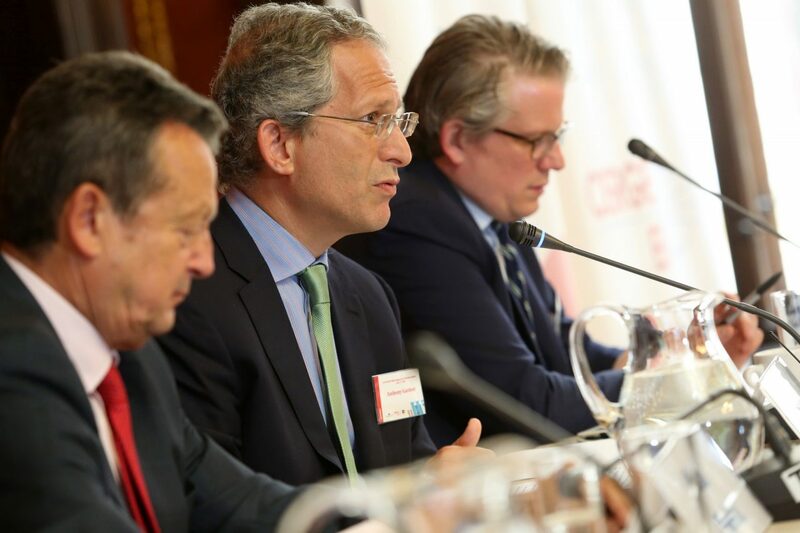 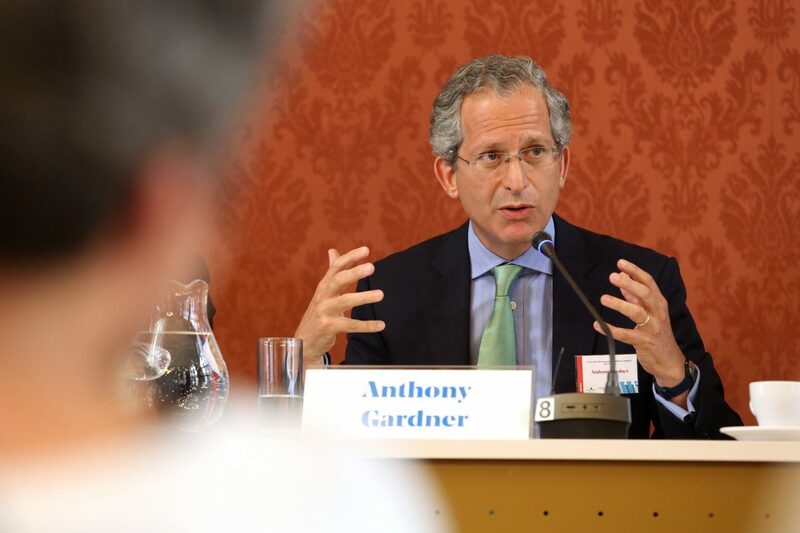 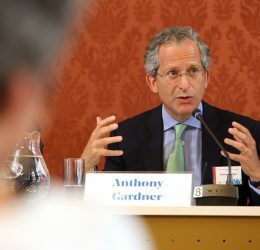 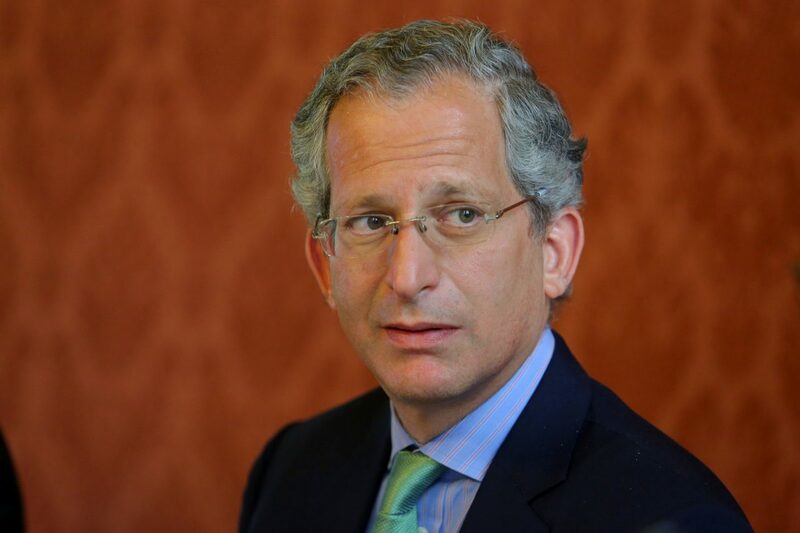 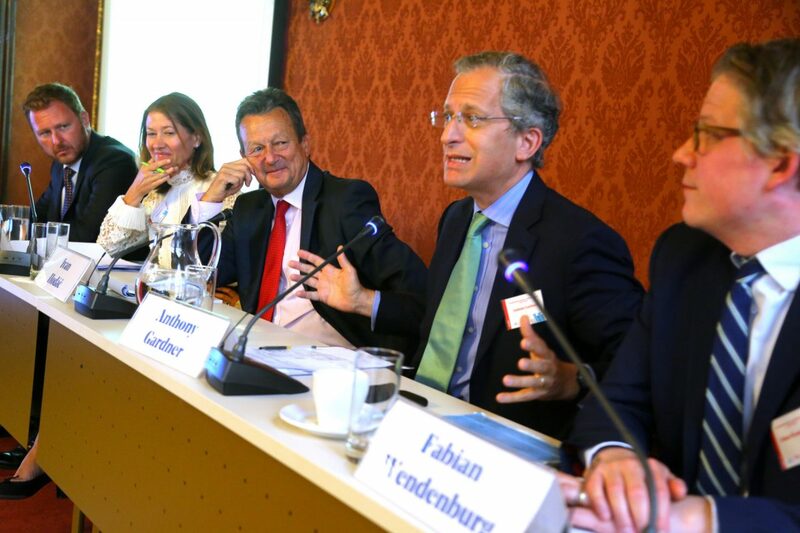 Anthony Gardner, former US ambassador to the EU and TTIP negotiator, stressed that free trade is one of the values which contributed to US prosperity and success. 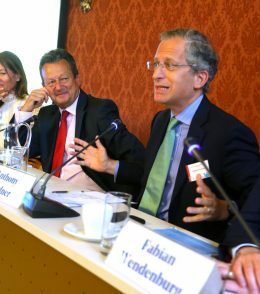 Describing the TTIP negotiations, he summed up the reasons for the failure of the TTIP and prospects and barriers for future US trade agreements worldwide. 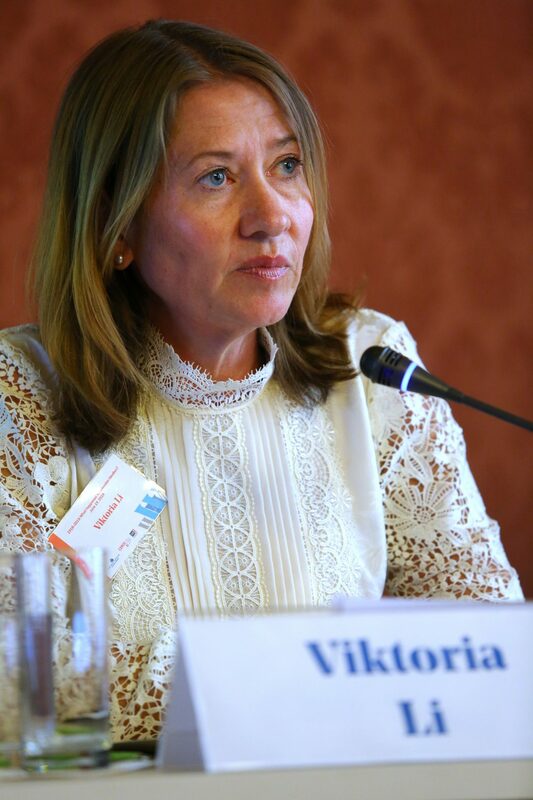 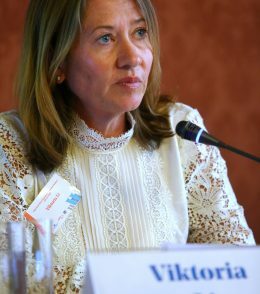 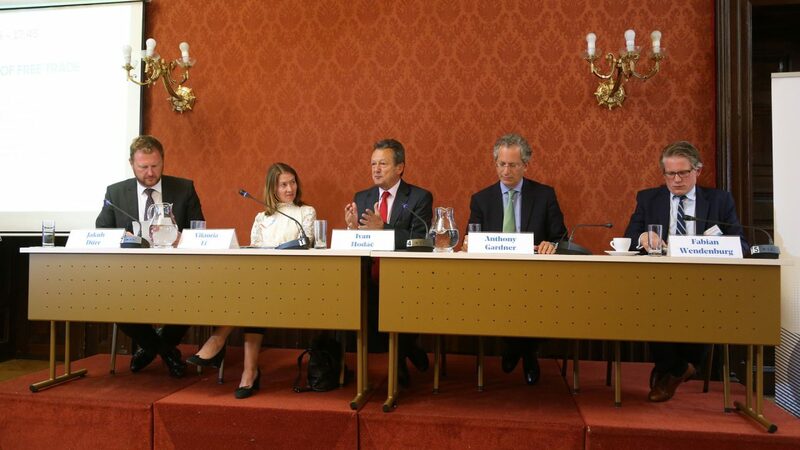 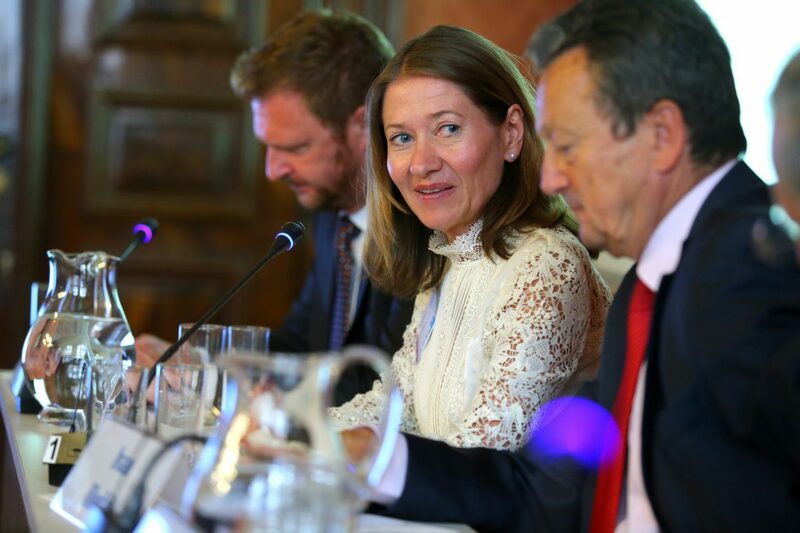 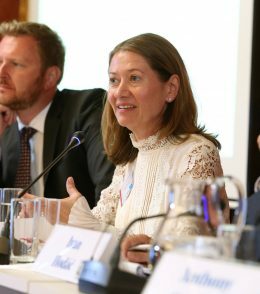 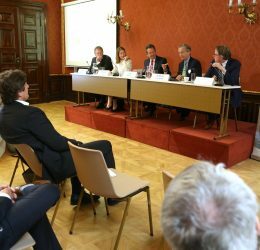 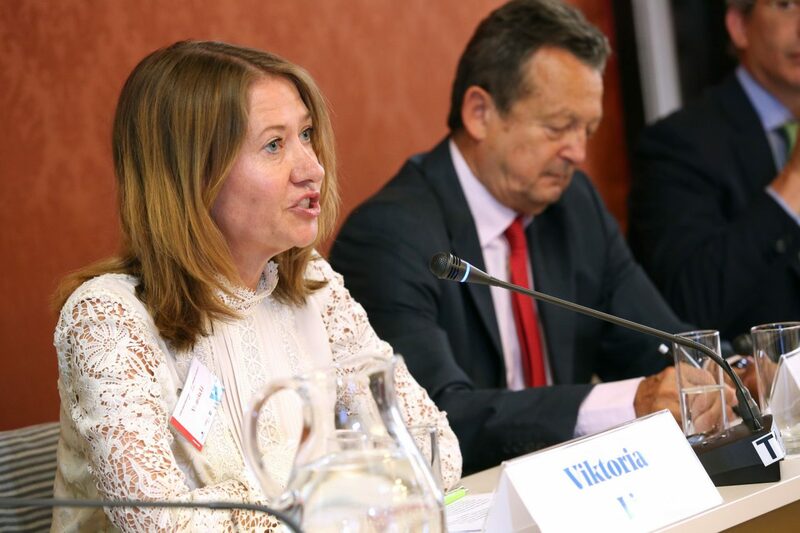 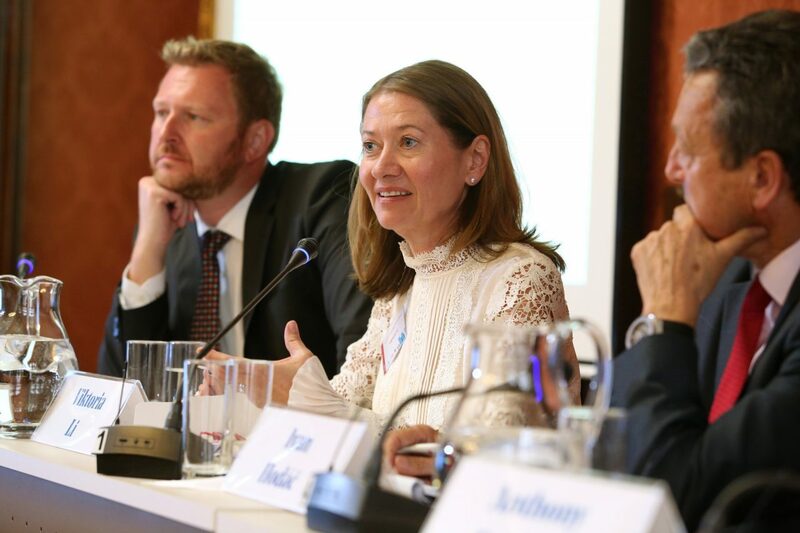 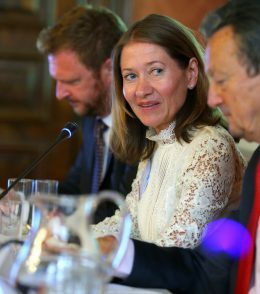 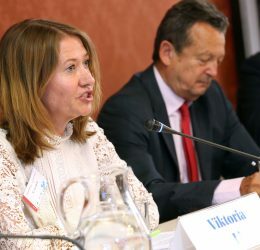 Viktoria Li, Ambassador of Sweden to the Czech Republic, noted that the emphasis should be on sustainable trade, good national policies and free trade as a win-win solution. 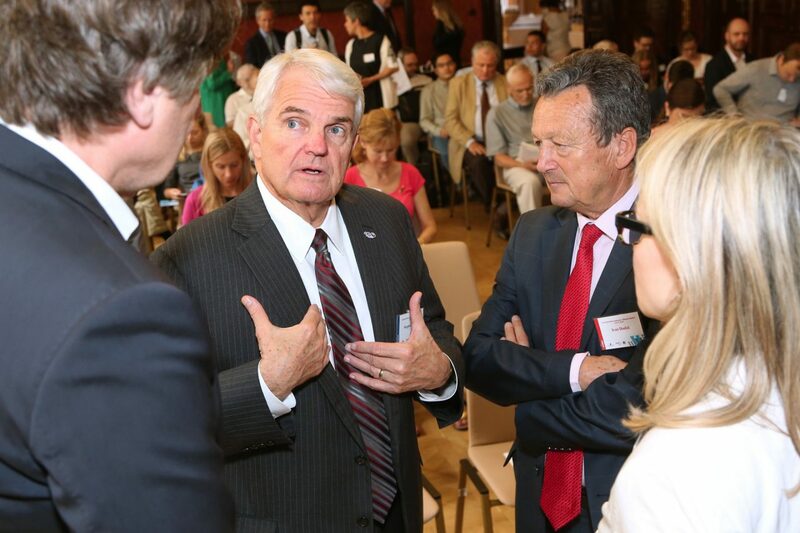 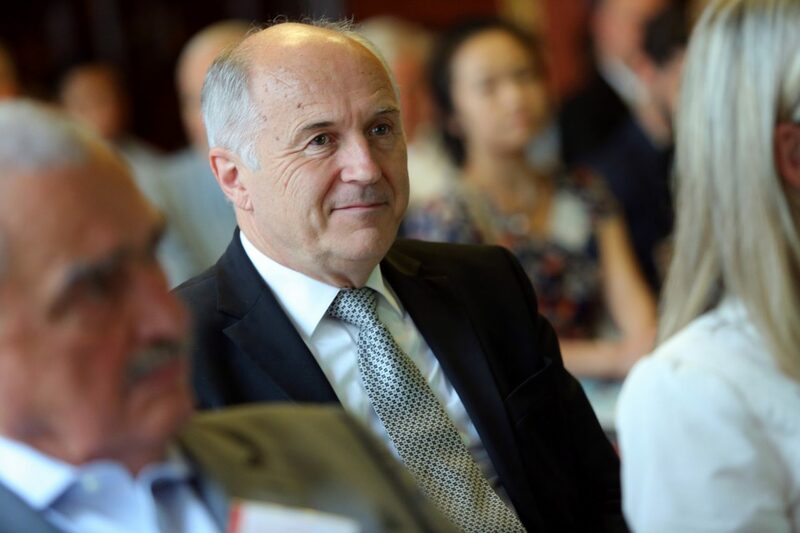 What we really need is a global system comprising the environment, new technologies and trade. 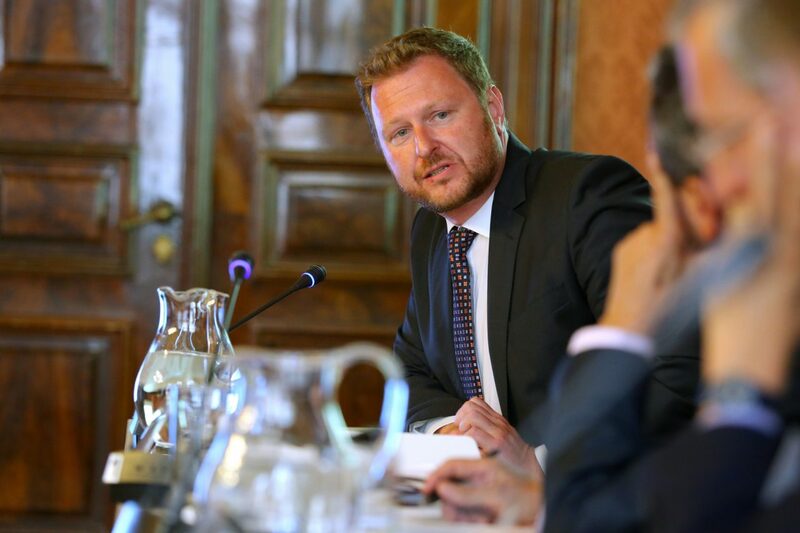 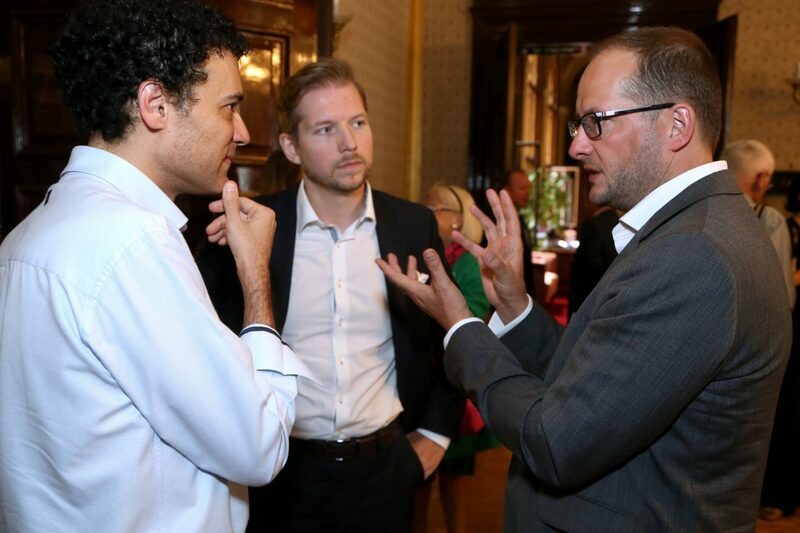 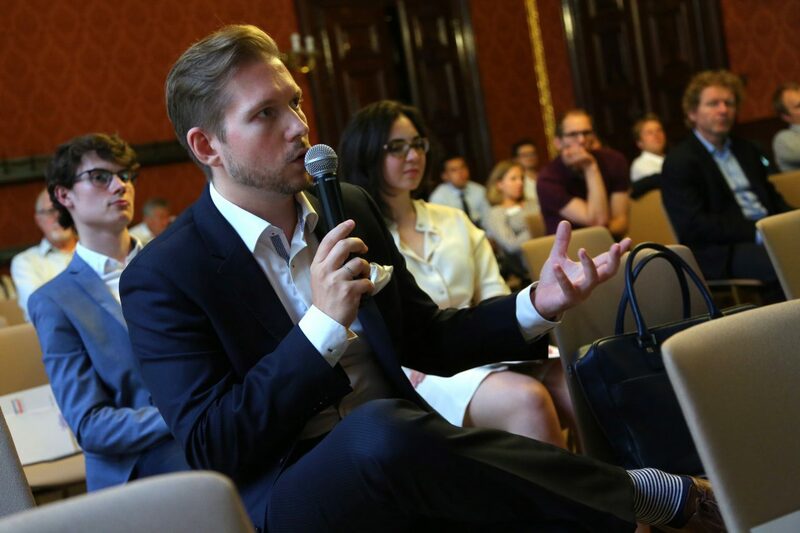 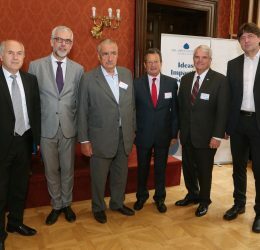 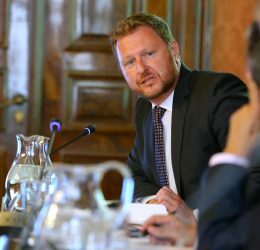 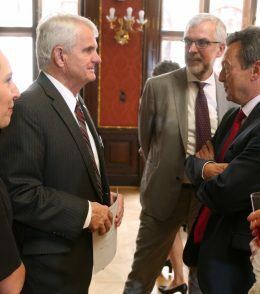 Jakub Dürr, Czech Deputy Minister of Foreign Affairs, mentioned the importance of free trade for the Czech Republic and the former Czechoslovakia. 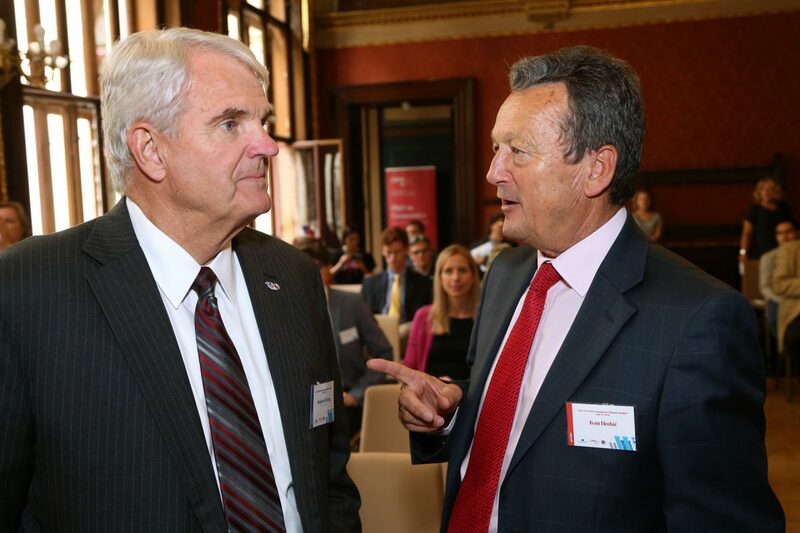 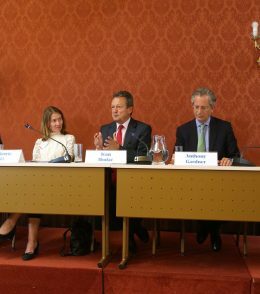 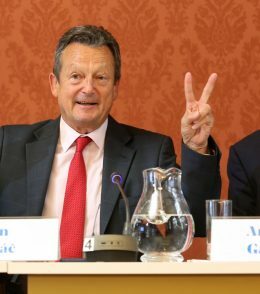 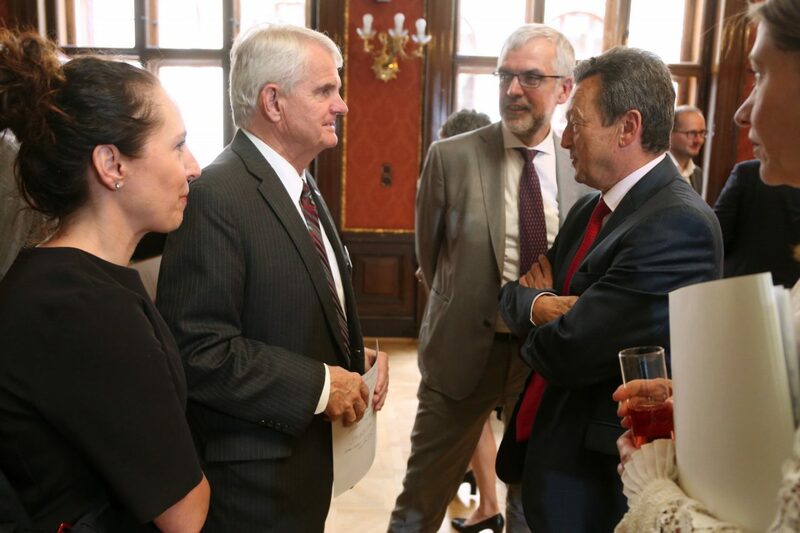 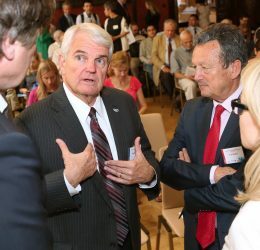 He pointed out that the Czechs have always stood for free trade (Czechoslovakia was one of the Founding Members of GATT in 1948) and the Czech Republic was at the beginning of the WTO, signing the treaty in 1993. 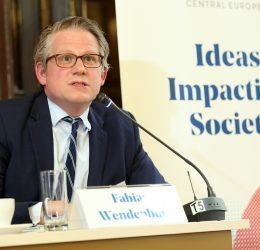 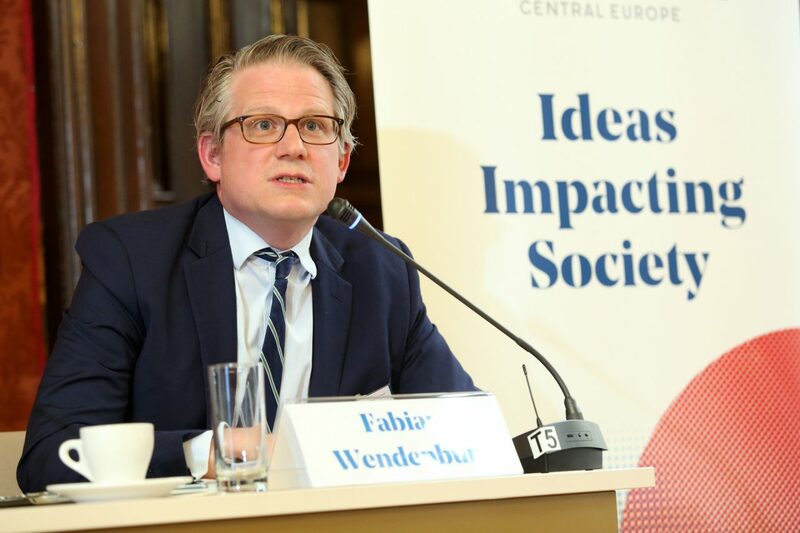 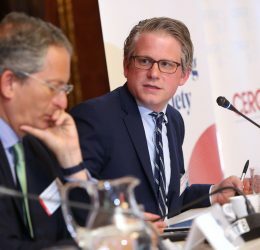 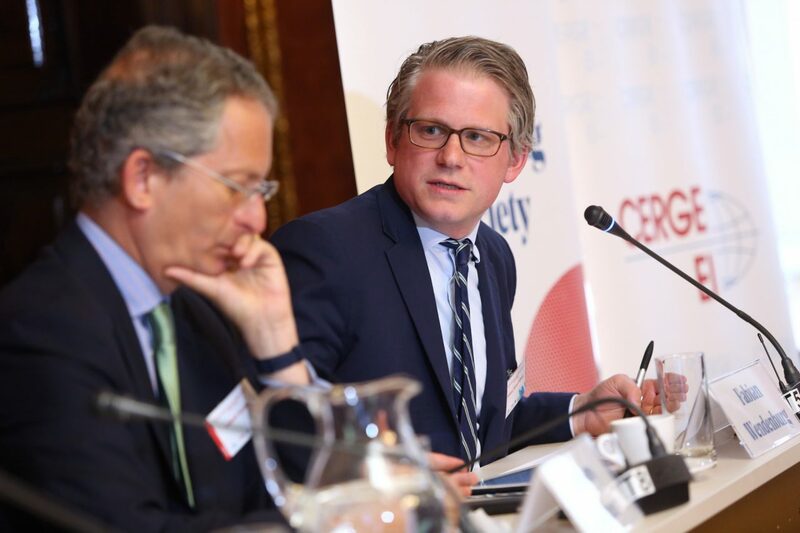 Fabian Wendenburg of the Federation of German Industries discussed the influence on international trade of China building its own trade system, adding the German perspective on the prospects and barriers for future trade negotiations. 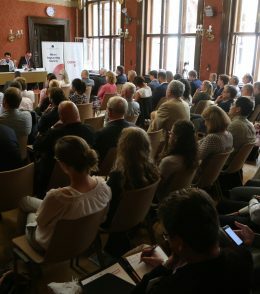 Ivan Hodáč concluded by declaring that we need global rules-based trade and stressed the importance of the transatlantic relationship and the common values we share. 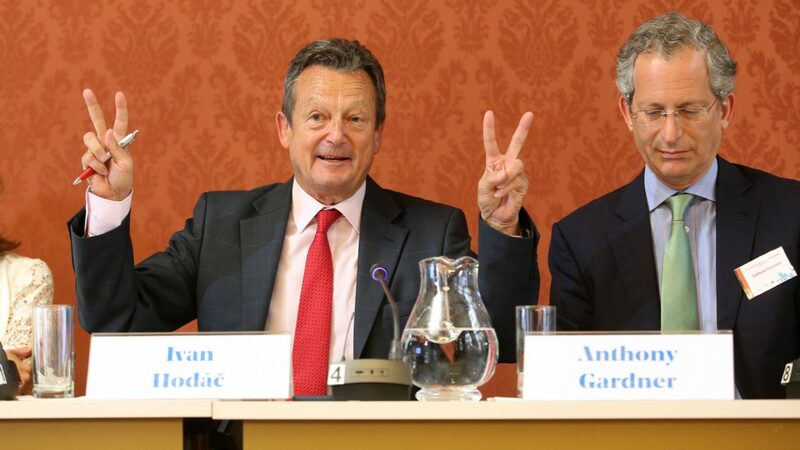 In the end, he believes free trade is an expression of self-determination.